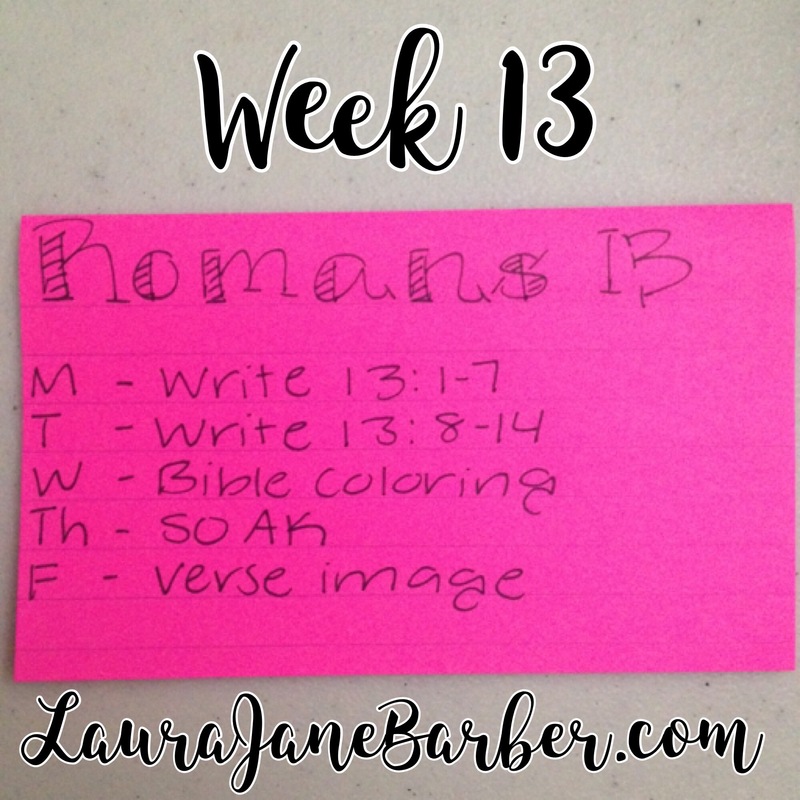 It’s time for week 13 in Romans. Be sure to share on Instagram using the hashtags #WaterIntoWineFaith and #GoodMorningGirls. Monday: Write out Romans chapter 13 verses 1-7. Choose whichever translation you prefer. 5 tips for picking the best Bible translation. Which translation should you use? quiz. I plan to do mine in my journal. I will post my verses 1-9 on Instagram tomorrow morning. Have fun with it! Use a fun pen, markers, colors, etc. Wednesday: Color code the words/verses of chapter 13 either in your Bible or wherever you wrote out the chapter if you don’t want to color in your bible. S-Scripture: Choose a verse or two from chapter 13 that speaks to you. Write the verse(s). O-Observation: note what you observe about these verses or the chapter. I often write out context of what is happening in this section of the Bile. A-Application: note why and how this verse speaks to you. It could relate to your past, your current life, someone you love, etc. K-Kneeling in Prayer: Write a prayer. I often write one related to the content of the chapter or whatever is on my mind. Write from the heart. Friday: Create a verse image! Choose a favorite verse or verses from chapter 13 and create a graphic! Don’t forget to take a picture and post it on Instagram. Use the hashtags #WaterIntoWineFaith and #GoodMorningGirls so we can see each other’s!